Home › Uncategorized › Lift the Cross High! About two months ago our Pastor of Worship Arts challenged our congregation to be more intentional in our physical expression of worship. He used a certain song, simple, yet profound, to instigate this change; the song is entitled “White Flag.” I left the service with my nine-year-old son, who commanded me, “we need to download that song!” Along with his personal enthusiasm for the song came my own desire to dive deeper into the lyrics. One of the lyrics played over and over in my head, “we lift the cross, lift it high, lift it high… (repeat, and repeat and repeat…)”and it made me realize that I did not have the greatest grasp on the enormity, or, for that matter, WHY exactly we need to lift the cross high. So, the first place I went was Luke and I sought out what Jesus had to say about carrying the cross, which I knew was in all three of the synoptic gospels. As Luke has ascribed: Jesus said to his disciples, “If anyone would come after me, he must deny himself and take up his cross daily and follow me.” Luke 9:23 (similar verses in both Mark & Mat.). What Luke has recorded must be taken in a literal sense. Crucifixion, during the 1st century, and under Roman rule, was very present, gruesome, and real. If anyone said, “that person is carrying the cross,” it meant certain death. So, in the gospel accounts of Jesus, He is asking His disciples to carry the cross, He, Jesus, is asking us (His disciples) to be willing to give up our greatest possession for Him, which is our lives. He is saying that we need to surrender to Him at every and even the greatest cost: which is our lives. Jesus is asking us to submit to the ultimate act of love, which is to give up ones life for another. This is not optional to Christianity, it is a call to obedience. Jesus wants us to understand the risk of death, suffering, persecution, rejection, and abandonment for His sake, because we know Jesus suffered all these things on the cross. Jesus is literally asking us to walk as he did, nothing more, nothing less. He is asking us to join Him in the journey of disciple making, regardless of how difficult and trecherous the journey may be. Jesus is asking us to step into the way of the cross, which is a life of “losing ones life” for the sake of our neighbor, our friend, our family, and the world. So, we must ask ourselves: what is the cross we are called to bear if we are not to suffer crucifixion and martyrdom? Simply put, it is surrendering to Jesus, being obedient to Jesus; denying the self and dying to self; it is living IN Christ; which means dedicating one’s life to the flourishing of God’s kingdom and seeking to share Christ with others, both in word and deed. As disciples, this is our call to carry the cross. In Bonhoeffer’s view, as disciples we are bonded, cleaved, joined to the person of Christ. In joining to Him, we submit ourselves to His law, the law of the cross. What is the law of the cross? It is complete and utter sacrifice, but not in a reckless sense. It is laying down one’s life for our neighbor, which is the ultimate act of love & servitude. The law of the cross is love: suffering like and “in” Jesus, being persecuted like and “in” Jesus, being rejected like and “in” Jesus, even by the people we love most. It is allowing ourselves the grace of being broken people living in a broken world living in accordance with the truth of the Lord. It is our submitting to His ways and following His command of obedience and our call as “sent ones,” called into the world for His work. But I ask this question- what makes this all so worth it? Why are we lifting the cross? The cross holds for us, who believe, the power of God, and the power of God is the good news of Jesus Christ, the messiah, and our rightful King; who has come into the world to make all things new; who has come to break the barriers of death and sin, and usher in the glory of God’s ultimate reign, God’s kingdom here on earth. It is the Gospel of: salvation, fulfillment, forgiveness, love, reconciliation, communion with the Triune God (perichoresis), the promise of eternal life in His glorious kingdom. It is Jesus’ fulfilling all the OT prophesies of the long-awaited hope for a liberating King. It is what God did for us through Jesus’ atoning death & what he continues to do for us in His endless forgiveness and love for the world. 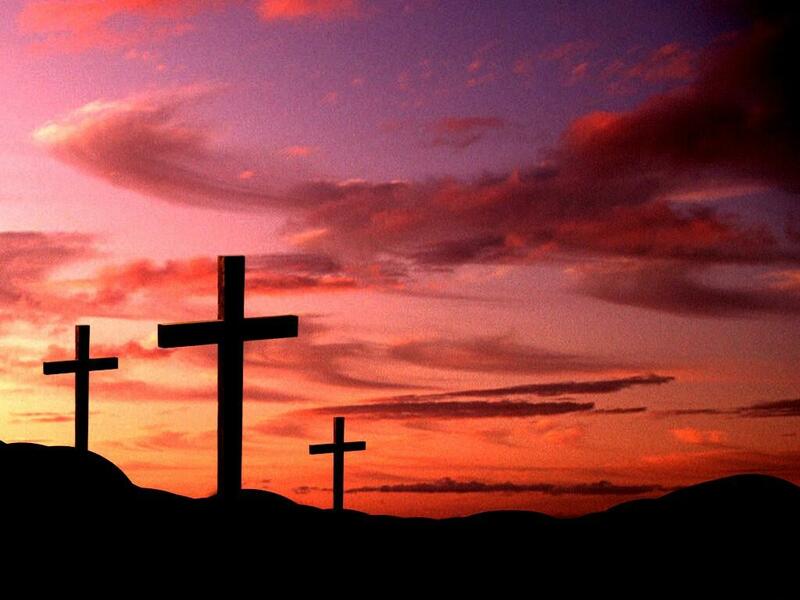 Knowing that the cross carries the power of God for us who believe is why we need to, and can lift the cross high. Our relationship with God, our personal relationship with Him: where he loves, cares, supports, promises, forgives, restores and guides us, starts at acknowledging the cross of Christ, and continues through the lifting of our own crosses, as we follow in the footsteps of our King Jesus. Let’s go to Jesus, in humble obedience, losing our lives to and for Him, unashamed, bringing the kingdom of God to earth through word and deed, and prayerfully lifting the cross that holds the promise of the good news of our salvation, not just for ourselves, but the entire world and cosmos. If lifting the cross means that we are participating in the restorative work of Christ, then I now understand exactly why “lifting it high” is the joyous call of every Christ-follower. Reblogged this on Shannon Claussen. shannonclaussen on Lift the Cross High!